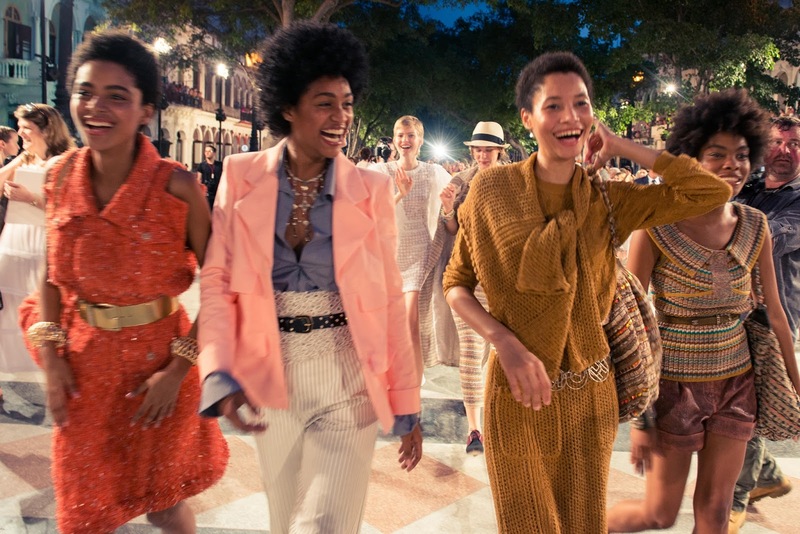 This week, hot on the heels of the Met Gala (and consequently lacking the star power of most Chanel FROWs) Chanel launched its resort collection on the wide, picturesque avenues of Havana. 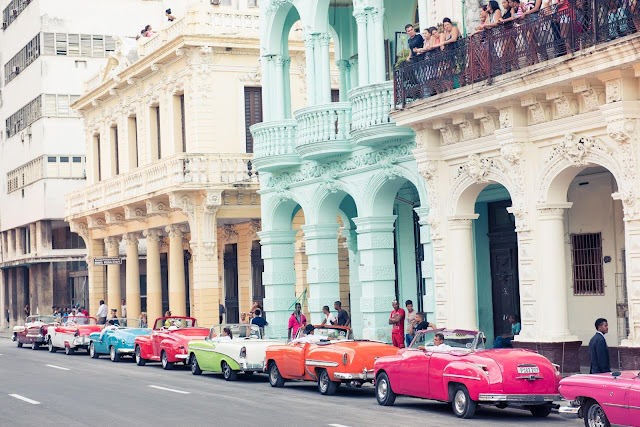 Cuba is currently Flavour of the Month, having recently played host to the Rolling Stones, the Obamas and the first cruise ship full of 700 Americans since economic and diplomatic sanctions between the USA and Cuba - in place since the 1960s - were historically loosened in March this year. This week, Karl Lagerfeld (without having visited the country previously) released an entire collection based on his perceptions of this time-warped and beautifully ageing country. 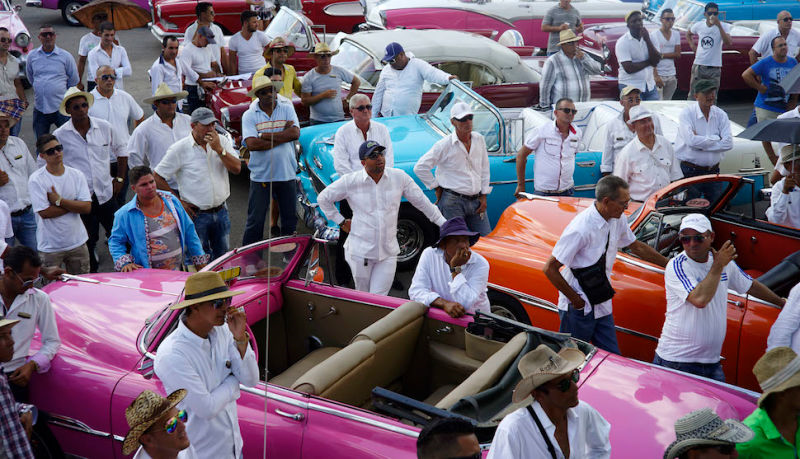 Models cha-cha'd down the catwalk (Havana's Paseo del Prado flanked by Cuba's notably colourful cars from the 1950s), some smoking cigars and others decked out in Che Guevara-esque black berets. Cuba is indeed a picturesque spot, and while I think it's great to promote tourism to the area, a small part of me feels a little discomfort between the dichotomy of ultra-luxe Chanel (which most of us in the developed, Western world can't afford) in Cuba, a country where people earn about US$20/month and food remains relatively scarce and subject to rations (for example, ice cream is only available on certain days of the week). I will attempt to overcome my white, middle class guilt complex though, and go with the flow. Go and visit Cuba! It's a most fabulous country - beautiful, complicated and full of a the vim for life that can only come from a nation of people truly living an island life: unaffected by constant change, glorious concerns generated by the multitude of options that economic and social progression offers, and the pressure that social media and a bombardment of advertising imagery so well-advanced in its psychological manipulations that it can push the buttons of even the most confident of cats. And if you can afford to take your Chanel slip-ons, then best of luck to you - please spend lots of money in this wonderful country.